Vacation in Punta Cana, Best Beaches and Resorts! Welcome to one of the best and most beautiful Punta Cana beaches in the Caribbean! Palm trees and amazing beaches with magnificent resorts, Punta Cana is one of the most beautiful area of the Dominican Republic and the Caribbean. With plenty of opportunities to explore, this is the place to visit! I love this tropical Caribbean Island and I wanted to share my passion with you. I will do my best to provide you with the greatest information you can find about this amazing place, beautiful resorts, lovely people and magnificent beaches. Punta Cana, part of the eastern province of La Altagracia in the Dominican Republic, has become one of the most popular resort destinations in recent years. This beautiful area is best known for its beaches facing both Caribbean and Atlantic. Almost all resorts here are all inclusive resorts, most of them are family friendly and their main focus is to entertain their guests. With all the activities they offer, you will never bo bored. And if you are willing to explore around, book and purchase an excursion at your resort, rent a car and discover wonderful places you don't want to miss! As I mention before, traveling is my passion and on this website you will find everything you need to know to make your vacation worth visiting this Caribbean Island. -	what is weather like and when is the best time to go on a trip? Each time you visit www.puntacana-resorts.net, you'll find something new as I will be adding more information so you can plan a perfect vacation for yourself. You can also bookmark this page so you can easily find it. So enjoy you ride and explore this website... Thank you! 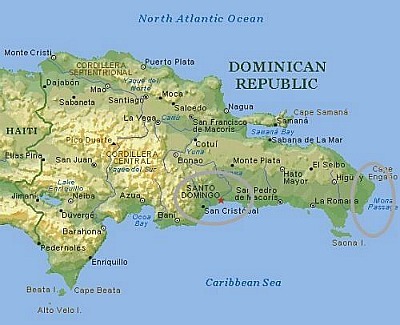 Punta Cana has become one of the most popular tourist destination in Dominican Republic and in Caribbean. The best beaches in the world! Miles of sparkling white sand Punta Cana beaches with coconuts trees and every Punta Cana beach is magnificent. Punta Cana All-Inclusive Resorts are very popular among tourists as they offer accommodations with prices affordable to many visitors. The best Punta Cana Resorts, adjusted to couples,families with small children and adults. Although Punta Cana is known for its All Inclusive Resorts, you can still find nice Punta Cana Hotels in the area. 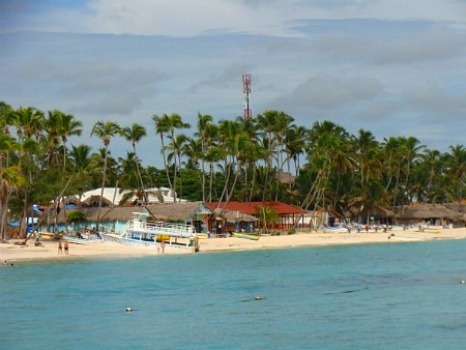 Find and book cheap flights to Punta Cana Airport, the leading airport in Dominican Republic. The Punta Cana Resorts Blog updates you with latest news about Punta Cana and this Web site. Subscribe here.